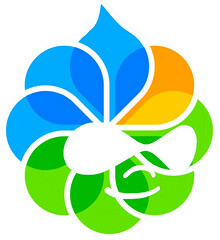 Jeff Potts recently announced the general availability of an integration between Drupal and Alfresco. The integration uses CMIS and could potentially connect Drupal to any CMIS compliant repository. While I would call this type of Drupal configuration experimental (that is, don't try to run The Onion on it), it does show potential. Alfresco's focus on web content management has been as an extension of internal collaboration (i.e. publishing internal knowledge assets out onto the web). Alfresco doesn't have a strong vision on pure web publishing or hosting community websites. The front end delivery part of Alfresco is just emerging through its Surf framework. Drupal, conversely, is all about the front end. There is a similar Alfresco integration available for Joomla!, which provides a menu set that reads from an Alfresco repository. This integration also uses CMIS as an interface. My main hesitation with recommending this configuration (or the Joomla! one for that matter) to my clients right now is that the Alfresco repository is not fast enough to be the runtime behind a high traffic website - certainly not the AVM and probably not the DM either right now. Most Alfresco powered websites publish flat HTML pages or push out the content as XML to be rendered by a de-coupled delivery tier (see deployment patterns). There is an integration that puts OpenCMS in front of Alfresco, but that works by replicating a folder in the repository over to the OpenCMS repository (see my write up here). That seems more scalable from a traffic perspective. In the near term, I think that the best use for this integration is for customers who use Alfresco for their Intranet and want to publish some of their internally-managed documents out to low-traffic pages on their website (perhaps some PDFs of investor relations documents or job application forms). In the longer term, performance and scalability of the Alfresco repository are expected to improve. Performance is a key focus for the next releases (3.1 and 3.2). In particular, they are building the infrastructure for improved load testing so they can optimize for intensive concurrent access by thousands of users. These improvements will certainly make a fully Alfresco-backed, high traffic Drupal or Joomla! site more viable.